This example from DNW, February 1999 which sold for £5,400. It is curious that Henderson makes no reference in his letters to the remarkable defence of Rorke’s Drift, for, at about 3.30 p.m. he arrived there from Isandhlwana with some one hundred men of the Hlubi and Edendale troops, Natal Native Horse. Lieutenant Chard, no doubt grateful for some reinforcements in light of the disturbing news that Henderson carried with him, put them out as a mounted screen to observe the Drift and the reverse slope of the Oskarberg. Several more survivors from Isandhlwana arrived and attempted to impress upon the garrison the futility of a defence, but Chard’s resolve could not be altered. These survivor’s, however, having seen the horror of Isandhlwana, and believing the same fate would surely befall Rorke’s Drift, continued their flight. At about 4.20 p.m. sporadic gunfire was heard behind the Oskarberg, and the Natal Light Horse galloped past the mission station in the direction of Helpmekaar. Lieutenant Henderson, pausing only to report that his troops refused to obey orders, took off in pursuit of them. Henderson shortly afterwards contracted typhoid fever and returned to his home where he was nursed back to health in time to be in at the kill when the Zulu power was crushed at the battle of Ulundi. For the next twenty years Alfred was engaged in business with interests in several mining concessions amongst other enterprises. In the Boer War Henderson again came to prominence and received high commendation from the Director of Military Intelligence: “Mr. Alfred Fairlie Henderson, Field Intelligence Department, took part in the Defence of Ladysmith and was present at the operations near Helpmekaar and the actions at Alleman’s Nek and Bergendal and the advance on Lydenburg. Mr. Henderson’s services were invaluable. Mentioned in despatches, London Gazette 8th February, 1901.” For his scouting services throughout the defence of Ladysmith, Henderson was created a C.M.G. ‘I was one of the Rocket Battery under command of the late Captain Russell, R.A., which was attached to Colonel Durnford’s Column. We got to Isandhlwana Camp about 11 a.m. on the 22nd January 1879. We halted there about 10 minutes when Colonel Durnford came down from the Campof the 1/24th Regiment and gave orders that, as the Zulus were retiring fast, the mounted men should advance up a hill about two and a half miles from Camp, and that the Rocket Battery supported by the Infantry of the Native Contingent should follow in rear of the Mounted Basutos. About two miles out we met a ‘vidette’ of the Natal Carbineers who reported that the Mounted Basutos were heavily engaged on the opposite side of a hill on our left, at the same time offering to show us a short cut to the place where the engagement was going on. The Captain galloped up the hill and before he returned to us shouted ‘Action front’. In his capacity as a member of the Mounted Infantry, Westwood served in Brevet Lieutenant-Colonel H. B. Pulleine’s No. 3 Column, which force was decimated at Isandhlwana on 22 January 1879. 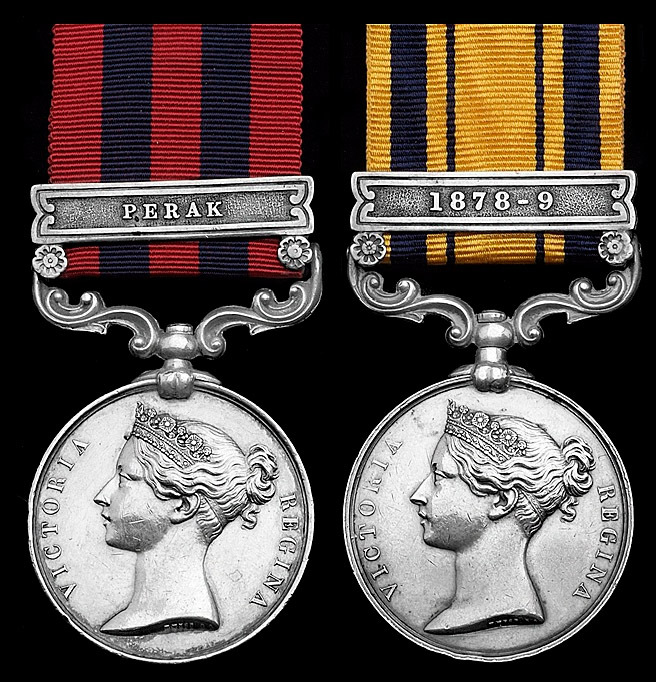 He had earlier seen active service in Perak 1875-76, and in operations against the Sekukini in 1878. How Barton came to learn of Mounted Infantrymen’s survival was a remarkable story in itself. 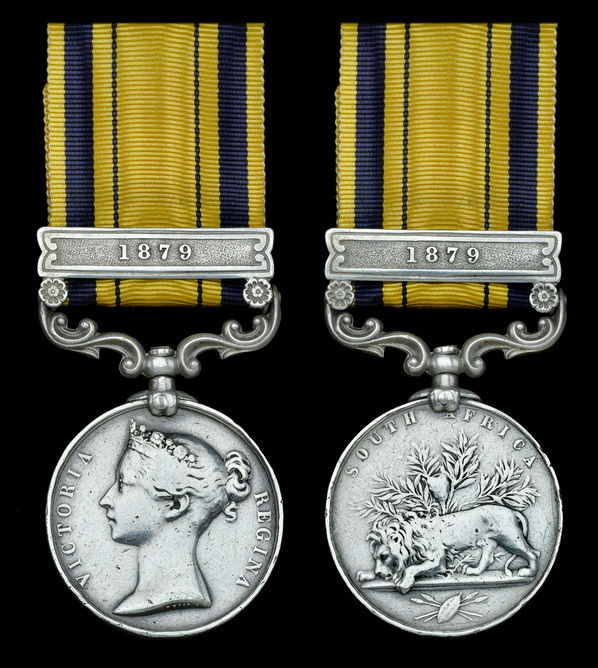 A few days after Isandhlwana, while visiting the hospital at Helpmekaar, he described to a fellow officer the act of gallantry he had witnessed at Fugitive’s Drift, an account that was overheard by a soldier lying in a nearby bed - none other than Westwood, who was happy to identify his rescuer as Private Samuel Wassall. Barton’s subsequent submission, as cited above, in addition to a sworn statement made by Westwood before the District Magistrate at Pietermaritzburg in April 1879, resulted in the gallant Wassall being gazetted for the Victoria Cross, the only such distinction won by an Isandhlwana survivor. ‘For his gallant conduct in having, at the imminent risk of his own life, saved that of Private Westwood of the same regiment. On 22 January 1879, when the camp at Isandhlwana was taken by the enemy, Private Wassall retreated towards the Buffalo River, in which he saw a comrade struggling and apparently drowning. He rode to the bank, dismounted, leaving his horse on the Zulu side, rescued the man from the stream and again mounted his horse, dragging Private Westwood across the river under a heavy shower of bullets’ (London Gazette 17 June 1879 refers). That October, an issue of the children’s magazine Aunt Judy included a story entitled Jackanapes, written by Juliana Horatia Ewing, an army officer’s wife, a tale said to have been inspired by real events in the Zulu War. Indeed the rescue of the character Tony by his friend Jackanapes, after he falls from his horse, is believed to be based on Westwood’s rescue by Wassall - “Leave you? To save my skin? No, Tony, not to save my soul!”; moreover, the same story inspired Rolf Harris’ song Two Little Boys, which went to No. 1 in the charts 90 years after events at Fugitive’s Drift on the River Buffalo. James Nathaniel Hamer was born in Clerkenwell, London, in October 1858, the son of James Hamer, a Clerk of the Queen’s Bench. ‘Mr. Hamer, the civil commissary whose life he [Smith-Dorrien] had saved, wrote copious letters to the Horse Guards and to Horace’s family but to no avail. When this became apparent, Hamer did his best to obtain for him the Royal Humane Society’s Medal but was told it was too late’ (The Man Who Disobeyed: Sir Horace Smith-Dorrien and His Enemies, refers). Also present at Ulundi, Hamer later gained appointment as a Sergeant, afterwards Acting Sub. 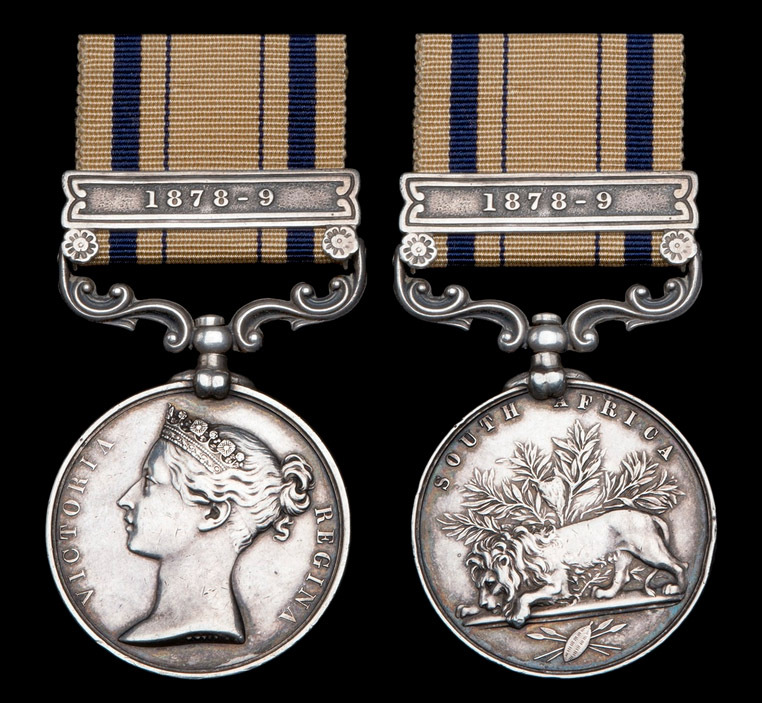 Inspector, in the Cape Mounted Police, and was also for two years a Deputy-Commissary of Ordnance under the Cape Government. Having then briefly returned to the U.K., he sailed for New Zealand, where he found employment as a Sub. Manager with the Trust & Agency Co. of Australasia and was married in 1888. And over the coming years he became a prominent local figure, rising to Manager of the Trust & Agency Co. and being elected a fellow of the Royal Colonial Institute, in addition to serving with the Canterbury Yeomanry. Less happily, he was divorced in November 1900, after a much publicised case involving his adultery ‘with a woman in Wellington’. ‘We only remained at the old home for another three years, because during that time my mother re-married a Captain in the South African War. I remember being decked out in a new green suit and hat, and my brother in a Norfolk suit, so that we could go to meet him. We were rather dubious as to what he would be like as we had heard terrible stories about stepfathers. He looked every inch a military man with his waxed moustache, as he whisked us away in a cab to go to the London Zoo, which was a great event for us. He was very kind, I guess he thought he had better make a good impression, which he did, and all through the years he lived, I must say he was always very kind to me. When the day came for us to leave London, we were told that we were going to live in a 500 year old country inn, in Kent. Of course, this seemed a great adventure for my brother and I, and we were thrilled but very tired when the moving van arrived at 3.a.m., to take us to our new home. My stepfather had bought us a parrot in Africa so, of course, it had to go along with us. Eventually we moved into the Chequers Inn, which however, was only to be our home for eight months. We were placed in school there, my brother at the Grammar School, and I was sent to a young ladies school. However, it was not for long, as it appeared my stepfather had a drink problem. At the back of the Chequers Inn lies the old Castle, hundreds of years old. Our new friends spent many happy times playing there. Playing there soon came to an end, as life was very unhappy for my mother. She tried to stay as long as possible at the Inn, but the environment was not at all good, so one day, we were told that we were moving back to London, that is, my mother, brother and I. I know she was very sad as she had to leave all her furniture and start life afresh to provide for us, as my stepfather's capital had all gone. I can only realize now, in later life, how brave she was. My aunt was still living in London, but mother was independent and wanted to face her troubles alone. Of course, my brother and I were sad at leaving our new friends but knowing nothing could be done otherwise, we tried to help all we could. This was in 1906 and his wife duly joined him Canada shortly before the Great War, but she died in British Columbia while Hamer was visiting the U.K. in August 1920, so he decided to remain here and died at Clun, Shropshire, in September 1925; sold with a quantity of copied research, including family photographs. Around 75 European officers and men escaped the massacre at Isandhlwana, John Joseph Horne appearing on the list of survivors posted to Helpmekaar on 24 January 1879. ‘A surprising number of lsandhlwana survivors has been revealed by the 50 years’ peace celebrations. Mr. John J. Horne, an organiser of the Newcastle Mounted Volunteer Corps in 1875, and one of the survivors of lsandhlwana, is still hale and hearty and lives in Durban. His account of the preparations for the battle at lsandhlwana shed new light on why no laager was formed. He and his corps were stationed at the far end of the camp and two members of his corps, Berning and Dinckleman, were on vedette duty about four miles out of camp Dinckleman rode in to Home with the report that the natives were approaching in mass formation. Colonel Dumford, then in command, rode up, and Home passed on the report to him. The Colonel ordered the dispatching of the ox wagons and the formation of a laager, but shortly afterwards Colonel Pullin rode up with an auxiliary force and the laager was not formed. Why the order was countermanded is not known to Horne. 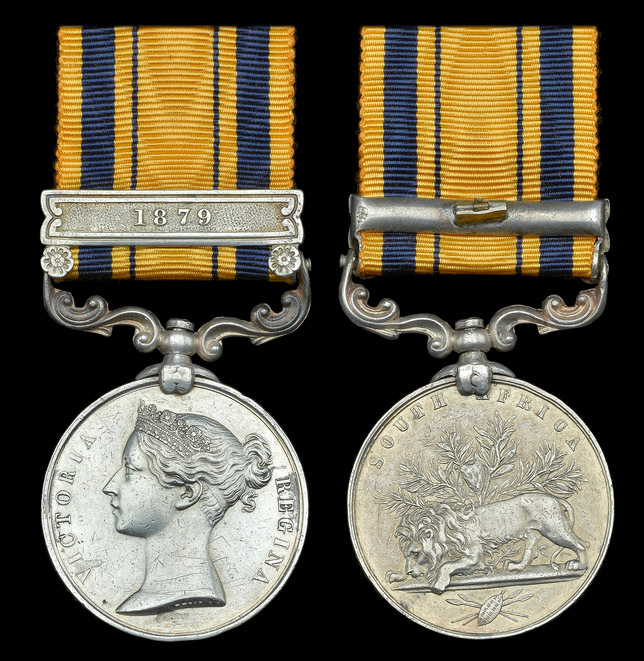 Just 38 South Africa Medals were issued to the Newcastle Mounted Rifles, at least seven of whom were killed in action on 22 January 1879. Trooper Sibthorpe is confirmed as one of the European survivors of Isandhlwana (The Noble 24th, by Norman Holme refers).